Saudi Arabia’s stock market fell early on Tuesday amid concern that international outrage over the disappearance of dissident journalist Jamal Khashoggi will hurt foreign investment. After half an hour, the Saudi index was down 3.0 percent, partly reversing its 4.1 percent rebound on Monday. The market has been extremely volatile for several days because of the Khashoggi affair. Some regional fund managers said stocks had rebounded on Monday because government-linked funds intervened to support the market, as they did late last year when a corruption inquiry unsettled investors. Fund buying has not so far appeared in large volumes on Tuesday morning. That has left the way clear for selling by nervous retail investors, who account for most activity in the Riyadh bourse, to push the market down. Saudi Arabia’s biggest bank, National Commercial Bank , plunged 4.7 percent. The top petrochemical firm, Saudi Basic Industries, lost 2.9 percent. “There is a lot of uncertainty about the situation and people are panicking because of the news flow,” said a Gulf-based market analyst, declining to be named because of political sensitivities. U.S. Secretary of State Mike Pompeo arrived in Riyadh on Tuesday to discuss the affair. Stocks fell despite a rebound by the Saudi riyal against the U.S. dollar early on Tuesday, after CNN reported Riyadh was preparing to acknowledge the death of Khashoggi occurred during a botched interrogation. Such an acknowledgement, if it happens, could be a step towards minimising the economic impact of the affair, a Gulf banker said. Other major Gulf stock markets were firm. 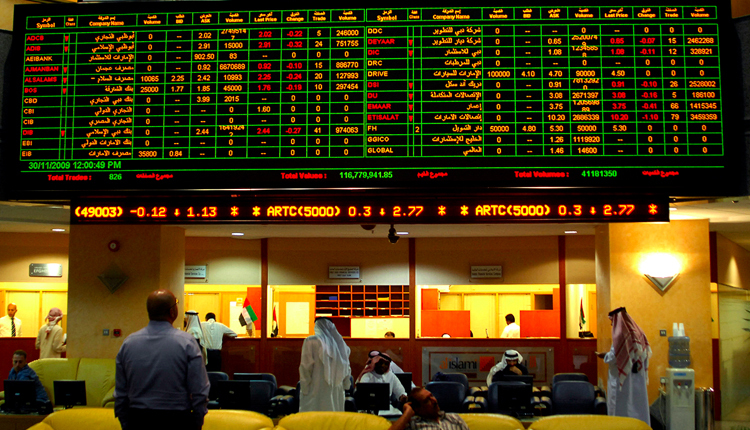 Qatar’s index was up 0.7 percent after a 1.2 percent gain by Industries Qatar. The Dubai index inched up 0.3 percent as real estate and telecommunications firms gained. Du rose 2.0 percent and DAMAC Properties jumped 2.7 percent. The Abu Dhabi index was up 0.1 percent, aided by a 2.3 percent rise in Eshraq Properties, which received regulatory approval to proceed with its share buy-back programme on Monday.